Shortened and simplified. Focus on compare and contrast Melt, Boil, and Freeze, with attention on how tem... (more)perature affects molecule motion. This is a version of instructions I made to be used with a science notebook. 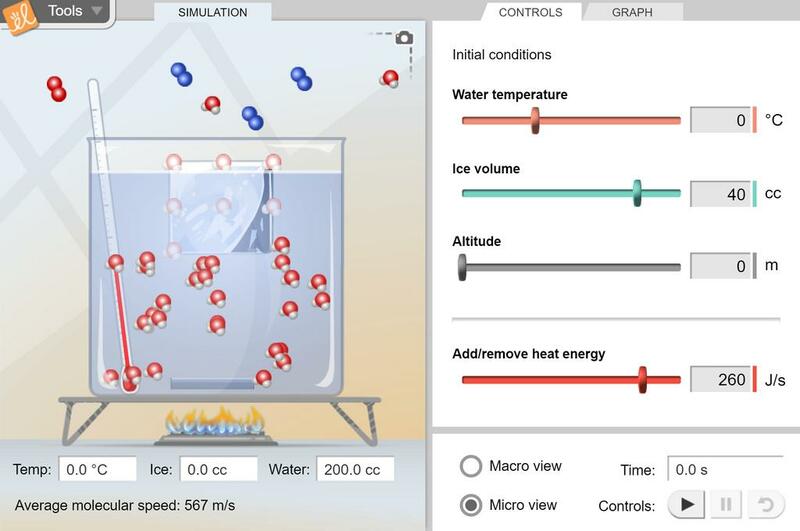 This worksheets allows students to interpret a graph showing data collected during phase changes of water... (more). Then they state a claim answering the question "How is temperature related to phase changes?" and support it with evidence and reasoning. A Teacher Guide that contains activities, useful links, curriculum outcomes and an exploration question. This is perfect for showing the basics of phase changes. I wish you had plasma included though. This Lab goes great with the STC MS Properties of Matter Lesson 8 Just A Phase Lab! A gizmo that makes it easy to show heat energy as vibration in the three states of matter.